Description: Polar’s cold weather footwear are a must have essential of the winter wardrobe. Ideal casual outdoor footwear for those cold winter days and suitable for those participating winter activities. 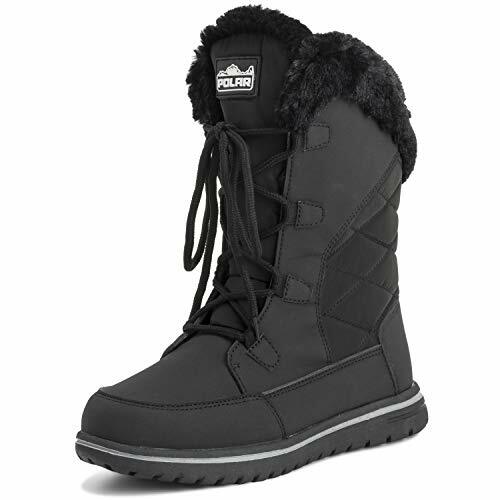 This short design features a cold weather resistant quilted upper, a fully waterproof construction upper, hook and loop cross lace up closure, contrasting stitching with a warm faux fur trim and lining. The calendered slip resistant rubber sole unit gives extra protection against the winter elements. The colour coded outsole is iconic and this boot is available in a palette of fashionable shades and upper materials.